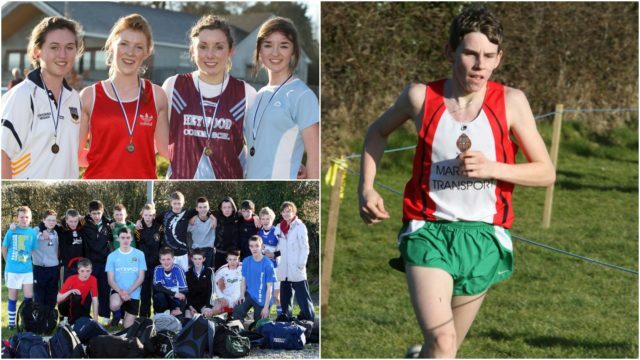 For this week’s Moment in Time, we look back on the Laois Secondary Schools Cross Country Championships in 2010. The races were held in the O’Dempsey’s GAA grounds for the first time in a number of years. The steep incline to the finish line made it a particularly challenging course for the athletes. Clonaslee VS and Portlaoise CBS dominated the races, with Clonaslee taking home three gold medals and two bronze medals in the team events. Portlaoise CBS claimed all three individual medals in the minor boys and intermediate boys events. 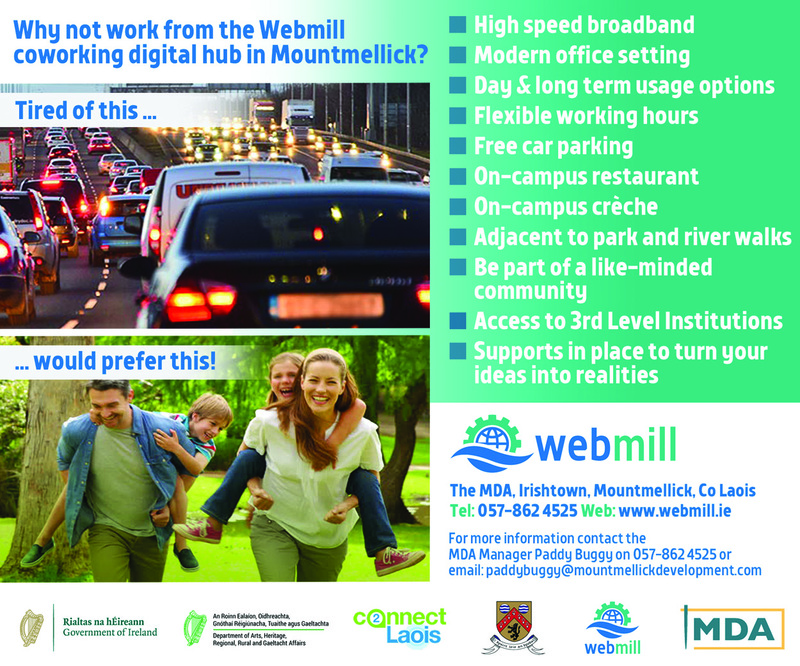 Two of Laois’s newest schools at the time, Portlaoise College and Mountrath CS, brought home gold medals. Mountrath won the individual gold medals in minor girls and junior girls as well as the team gold in intermediate girls and team silver in junior boys. Portlaoise College claimed the gold team medal in the junior girls race and the silver and bronze in the senior boys race. Kate McDonald and Ailish Brennan of Heywood both won gold in their individual races. Chris Finn and Colin Maher in the intermediate and senior boys also took home gold medals. 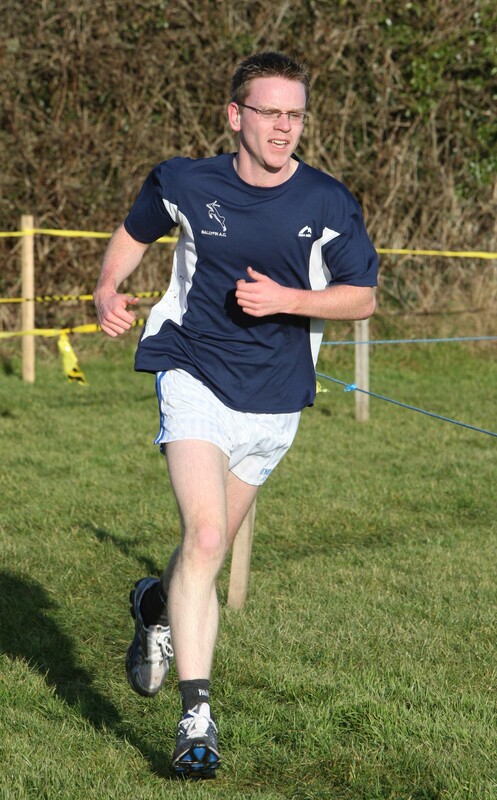 The successful runners later went on to the South Leinster section of the cross country races. 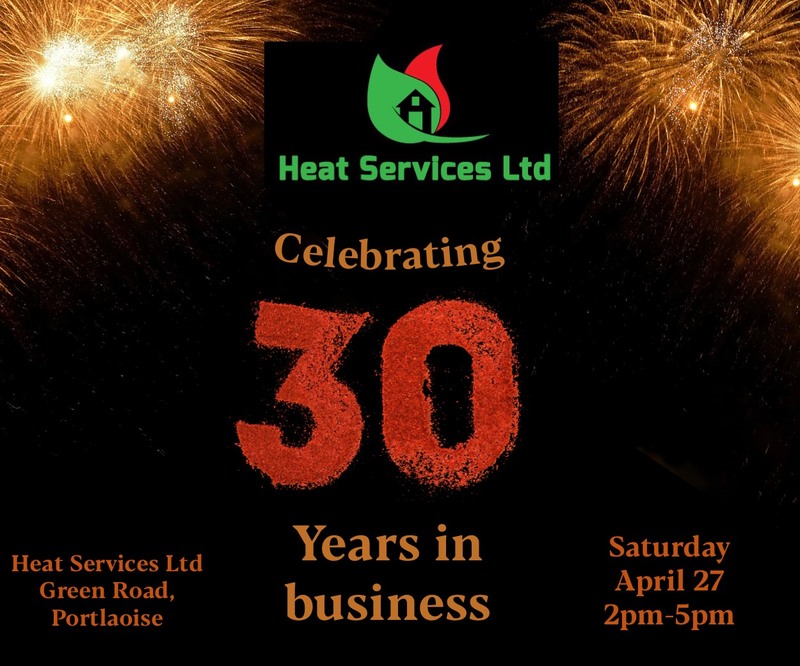 You can see Alf Harvey’s photos from the event below. 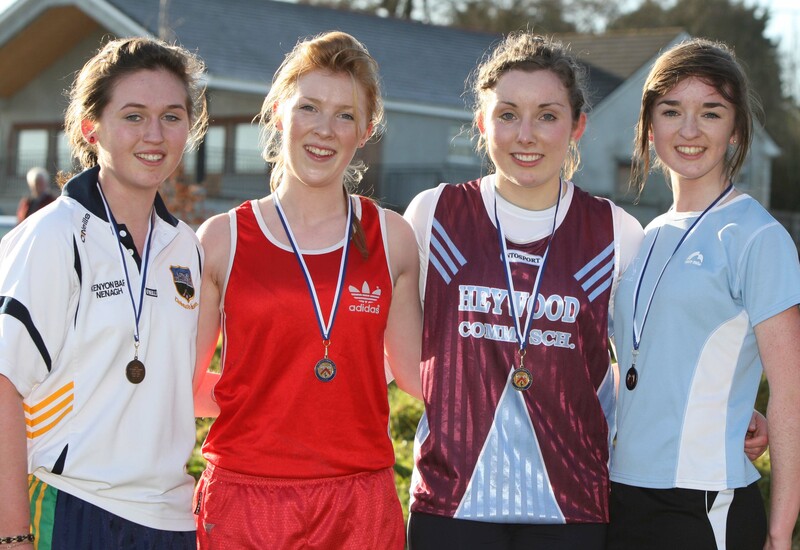 Winners in the Girls Senior race at the Laois Secondary Schools Cross Country Championships at Killenard GAA Club. From left: Niamh Kelly, Mountrath CS, 4th; Breda McDonald, Heywood CS, 2nd; Ailish Brennan, Heywood CS 1st and Ailbhe Joyce, Mountrath CS, 3rd. Colin Maher, Clonaslee VS on his way to winning the Boys Senior race at the Laois Secondary Schools Cross Country Championships at Killenard GAA Club. 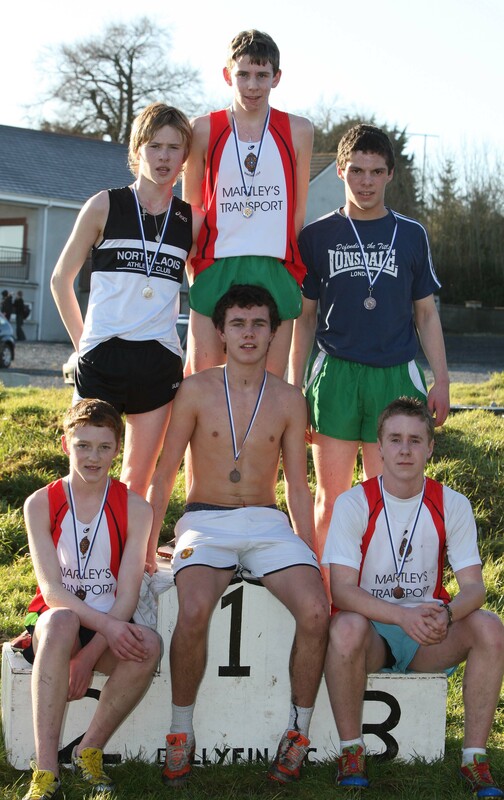 Winners in the Senior Boys race at the Laois Secondary Schools Cross Country Championships at Killenard GAA Club. From left, back: Jason Murphy, Portlaoise College, 2nd; Colin Maher, Clonaslee VS, 1st and Maciej Gieglis, Portlaoise College, 3rd. 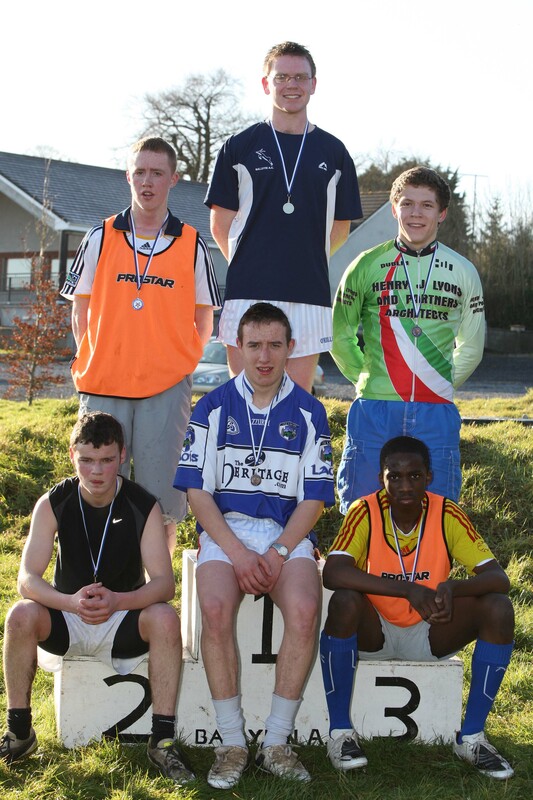 Front: David Lewis, Clonaslee VS, 4th; Willie Young, Clonaslee VS, 5th and Ebenezer Phillips, Portlaoise College, 6th. Athletes from St. Mary’s CBS Portlaoise with teacher Ms. Young at the Laois Secondary Schools Cross Country Championships at Killenard GAA Club. 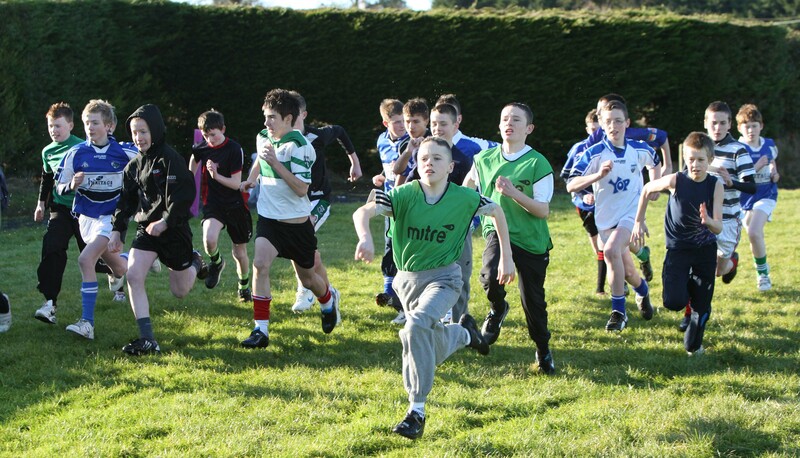 Runners at the start of the Minor Boys race at the Laois Secondary Schools Cross Country Championships at Killenard GAA Club. 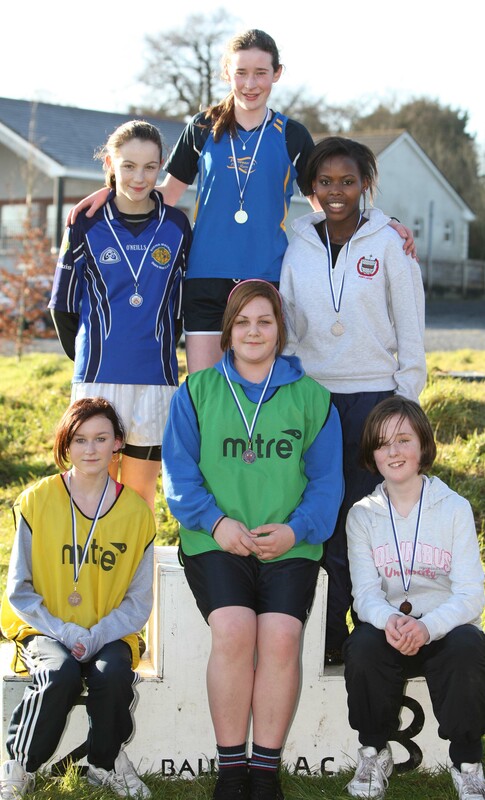 Winners in the Minor Girls race at the Laois Secondary Schools Cross Country Championships at Killenard GAA Club. From left: Grainne Goode, Clonaslee VS, 5th; Aine McDonald, Heywood CS, 2nd; Shauna Hogan, Mountrath CS, 1st; Amy Loughman, Clonaslee VS, 3rd and Laura Parkinson, Mountrath CS, 4th. 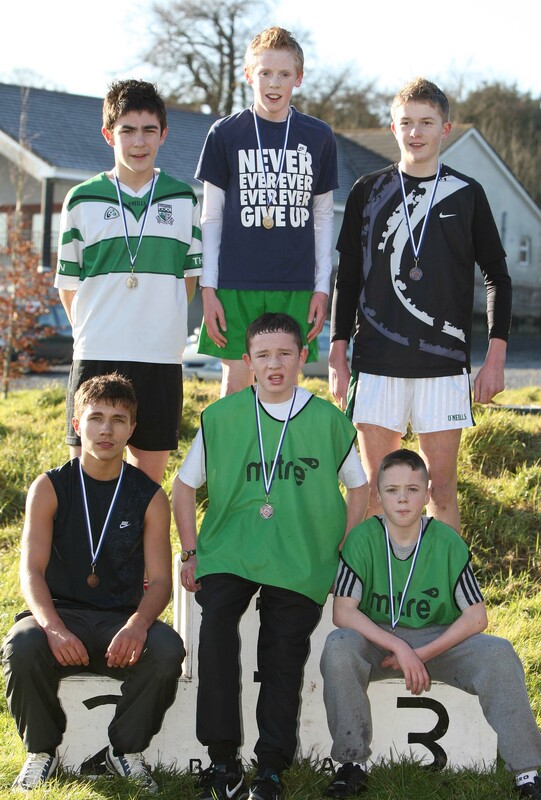 Winners in the Boys Minor race at the Laois Secondary Schools Cross Country Championships at Killenard GAA Club. From left, back: Eoin Langford, 2nd; Oisin Fitzpatrick, 1st and Kieran Flynn, 3rd all St. Mary’s CBS Portlaoise. 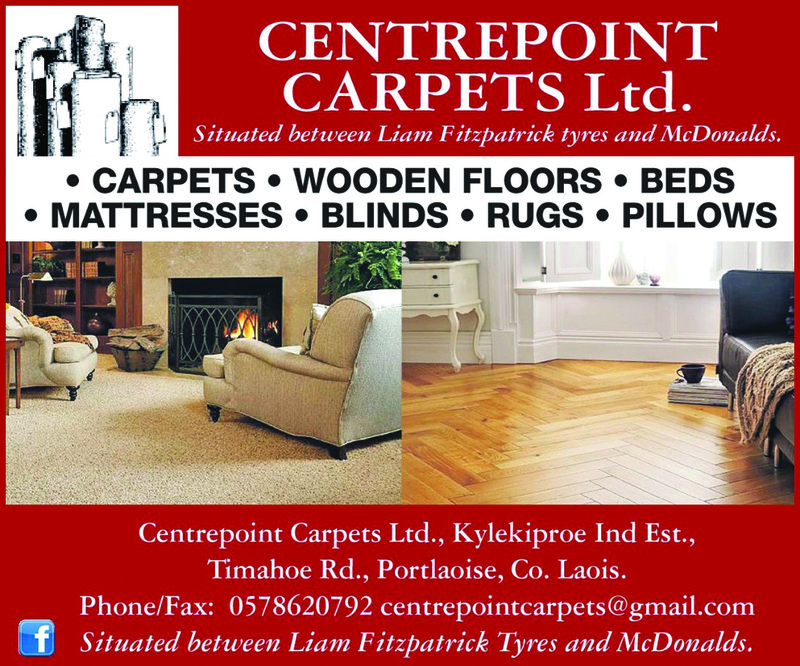 Seated: Matt Rutkowski, 4th, St. Mary’s CBS Portlaoise; David Delaney, 6th and Ger McInerney, 5th, both Portlaoise College. 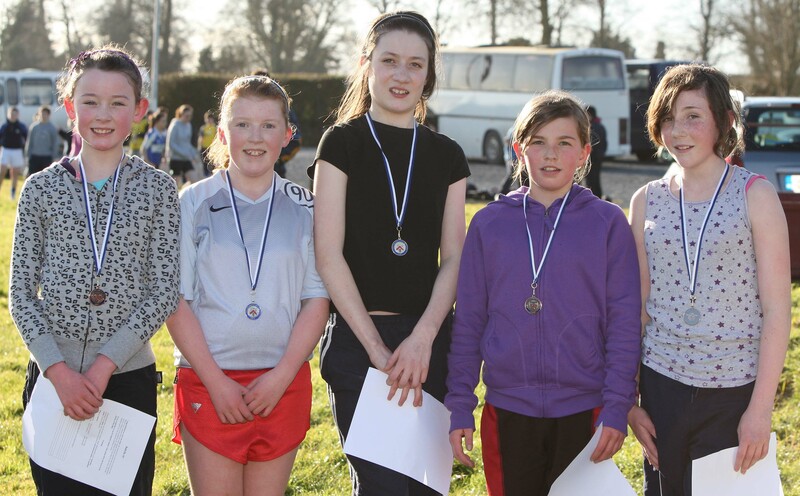 Winners in the Girls Junior race at the Laois Secondary Schools Cross Country Championships at Killenard GAA Club. From left, back: Megan Dunne, Clonaslee VS, 2nd; Roisin Dunne, Mountrath CS, 1st and Lynn Mery, Scoil Chroist R Portlaoise, 3rd. 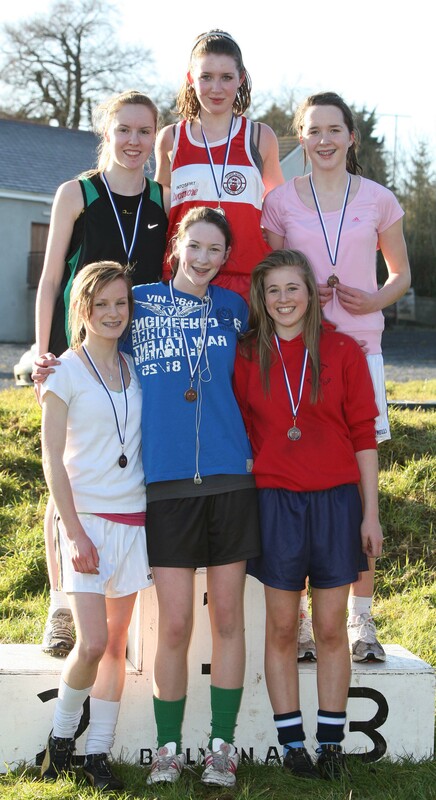 Seated: Alison Ryan, Portlaoise College, 4th; Chantelle Kelly, Portlaoise College, 5th and Chloe Murphy, Mountrath CS, 6th. 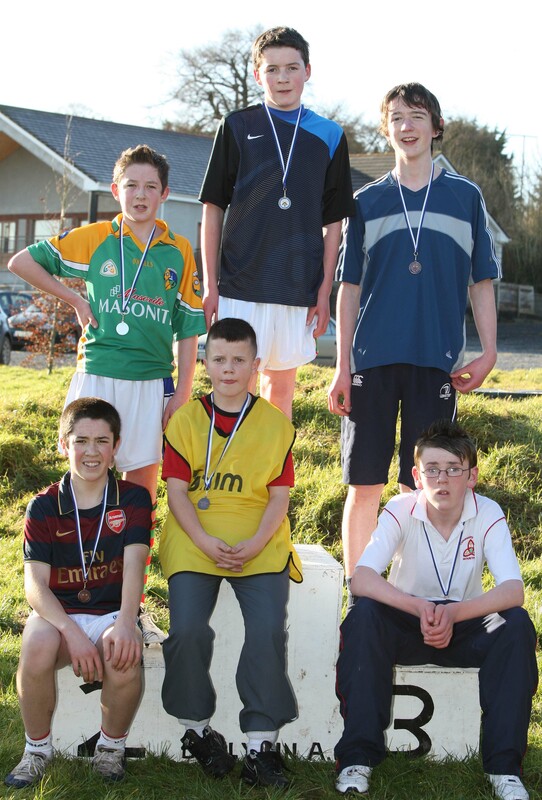 Winners in the Junior Boys race at the Laois Secondary Schools Cross Country Championships at Killenard GAA Club. 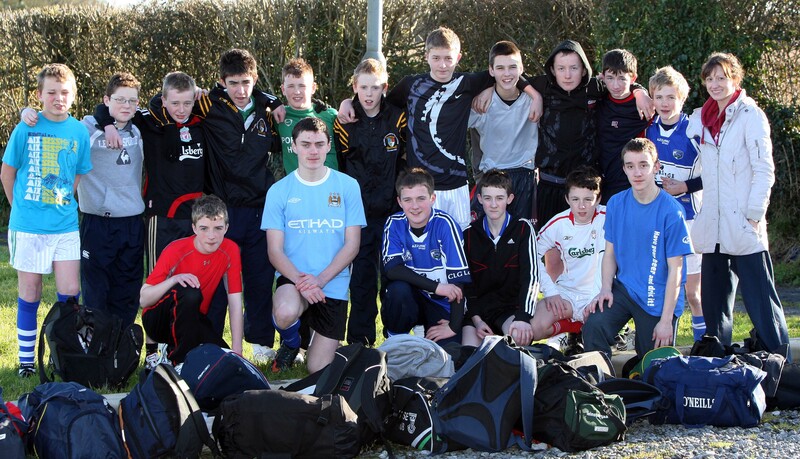 From left, back: Donnacha Hartnett, Clonaslee VS, 2nd; Adam Conroy, Clonaslee VS, 1st and Jimmy Kavanagh, Mountrath CS, 3rd. Seated: Pauric O’Neill, St. Mary’s CBS Portlaoise, 4th; Bernard McDonogh, Portlaoise College, 5th and Patrick Phelan, Mountrath CS, 6th. 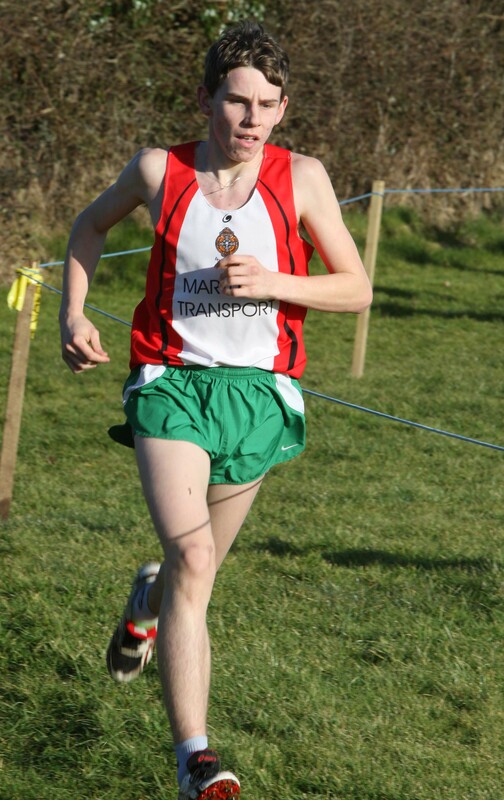 Chris Finn, St. Mary’s CBS Portlaoise on his way to winning the Boys Intermediate race at the Laois Secondary Schools Cross Country Championships at Killenard GAA Club. Winners in the Girls Intermediate race at the Laois Secondary Schools Cross Country Championships at Killenard GAA Club. From left, back: Mary Campbell, Scoil Chroist R Portlaoise, 2nd; Kate McDonald, Heywood, 1st and Aine Haberlin, Mountrath CS, 3rd. Front: Grace Brickley, 4th; Olwyn Joyce, 5th and Marie Therese Phelan, 6th all Mountrath CS. Winners in the Boys Intermediate race at the Laois Secondary Schools Cross Country Championships at Killenard GAA Club. 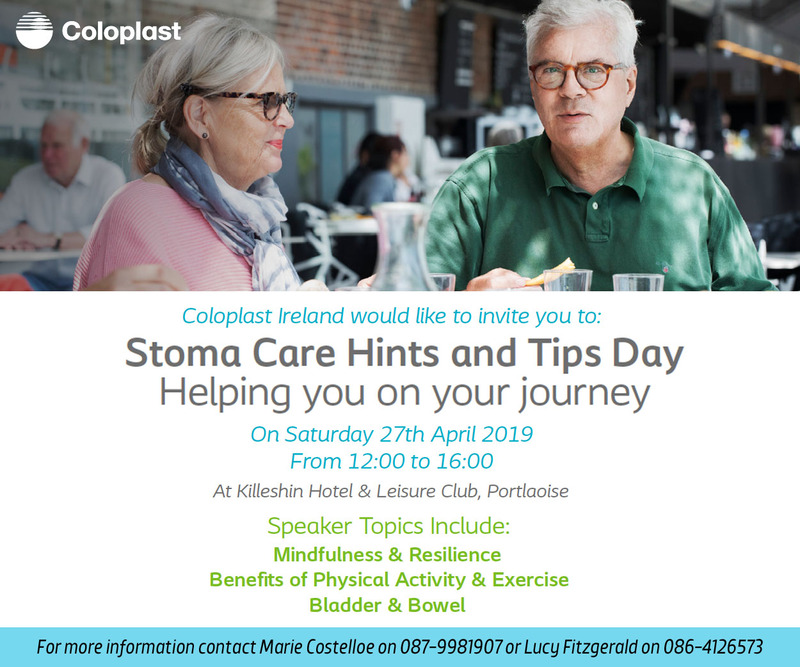 All from St. Mary’s CBS Portlaoise. From left, back: Alan Buckley, 2nd; Chris Finn, 1st and MIchael Dalton, 3rd. 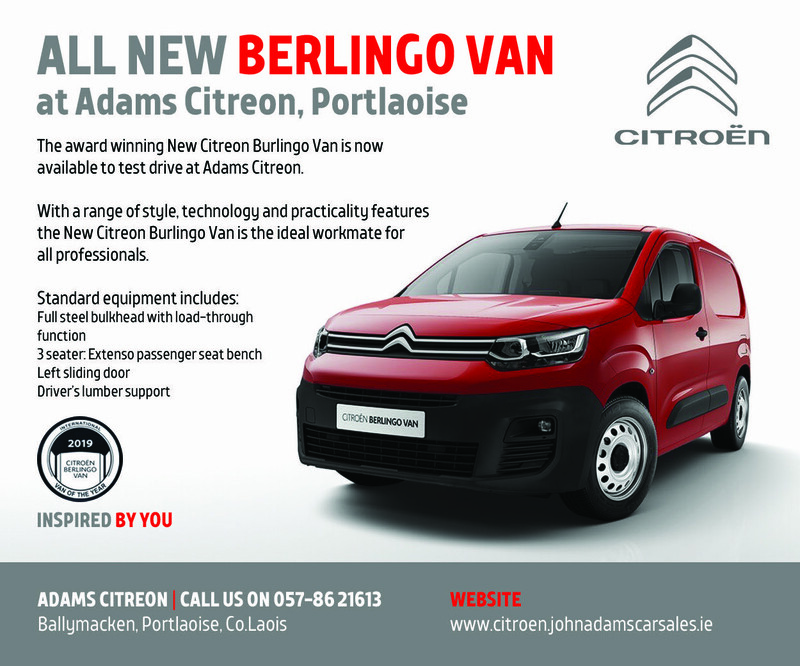 Seated: David Mulhare, 4th; Donnacha O’Reilly, 5th and Paddy Conroy, 6th. 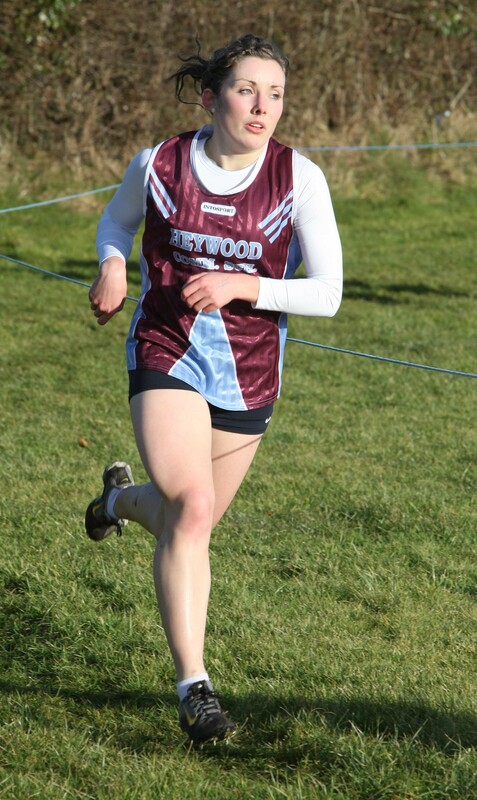 Ailish Brennan, Heywood CS on her way to winning the Girls Senior race at the Laois Secondary Schools Cross Country Championships at Killenard GAA Club.